We wish to offer our guests the best possible services and hostel experience. 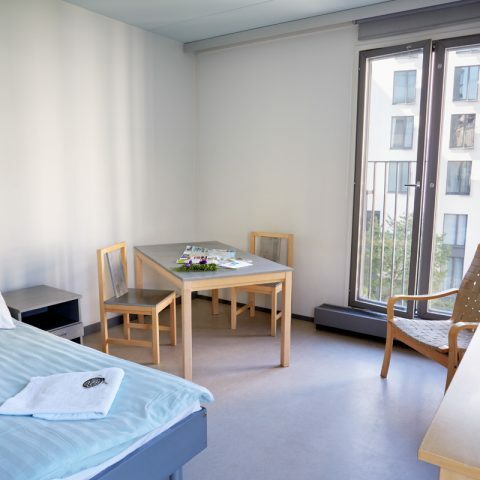 Hostel Domus Academica’s location is in central Helsinki near shops, restaurants and many attractions. In addition, we take environmental issues seriously in all operations. Hostel Domus Academica aims for good quality, excellent service, a great feeling and a big smile. These mentioned factors are a matters of honour to us. Moreover, our friendly and multilingual staff will help you around the clock. In addition, most important to us is to make our guests feel welcome and comfortable. We wish that you would like to return to our hostel again, as many have done. Our hostel has 326 rooms located in three different buildings in the same yard area. Whether you are travelling alone, with a partner or family, we can offer you accommodation that meets your needs. In addition to rooms, we offer affordable hostel beds where you share a room with 1-2 international travellers. Should you wish to get to know new people and have affordable accommodation, this is an excellent choice. Please take a closer look at our rooms here. The best way to start your day in Helsinki is to enjoy an abundant buffet breakfast in restaurant Metropol, which is located conveniently just downstairs from our lobby. You can purchase the breakfast from our reception for the price of €9,5. If booked in advance, the price is €8,5. For bookings please contact our sales at hostel.academica@hyy.fi. Breakfast is served Mon-Fri from 7 am-10 am and during the weekends 8 am-10.30 am. For breakfast Metropol serves organic coffee, organic tea, porridge, milk, home baked bread, cheese, cold cuts, vegetables (eg. lettuce, cucumber, tomato, bell pepper), boiled/scrambled eggs, yoghurt, müsli, cornflakes/cereals, jam/marmelade, orange/apple juice, fruit and some small biscuit or cake. 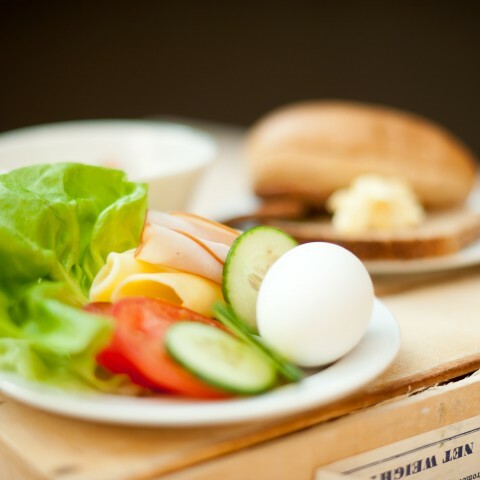 Local foodstuff and organic products are used as often as possible when preparing breakfast. Gluten free or vegan options are available. In case of any allergies or special diets, please contact us in advance. Our hostel reception has safety boxes where you can store your valuables for the duration of your visit. The price of the safety box is €3 / 24h. It is possible to buy souvenirs, postcards and small snacks from our reception. The Moomins are also a part of Hostel Domus Academica, as their creator Tove Jansson herself has had an impact on the property. Tove’s original drafts can be seen on the hostel premises. Can you find them? Please take a look at our selection and surprise your family and friends at home with souvenirs from Helsinki! It is easiest to get around in Helsinki with public transportation. Hostel Domus Academica is located close to the centre, near a tram lines and metro. If you arrive to Helsinki by car, you can ask about parking spaces in advance. We have limited spaces available. The price of a parking space is €20 / 24h. During your visit, you can use our self-service laundromat for €5 / washing load. The price includes detergent. An ironing board and an iron can be used for free in the common room located next to the reception. If you are arriving with a bicycle, you can safely store it in our bicycle storage room that is only accessible with a key. Please ask for the key from the reception. If you wish to rent a bicycle, our receptionist will happily guide you to the closest bike rentals and tell you about the many biking routes around Helsinki. Helsinki is full of interesting events and places to visit in the summer. The best way to see these is to get the Helsinki Card at our reception. 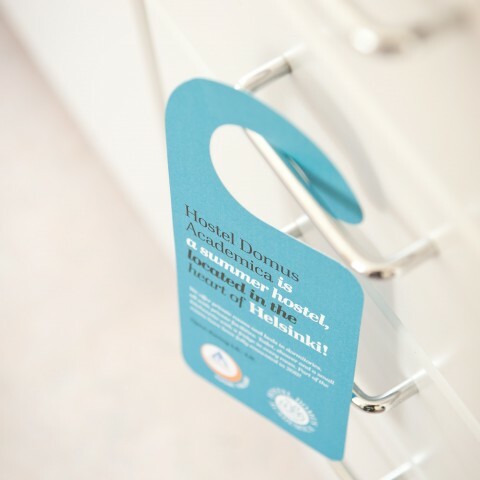 The Helsinki Card gives you free entrance to the most popular sights and museums, unlimited travel with Helsinki internal public transportation, free boat rides and entrance to nearly all visiting spots on Suomenlinna, a free city tour with an adult Helsinki Card and many discounts, such as in restaurants.